One of the most important things a good manager can do is provide employees with all the information they'll need to make smart decisions in the company's best interest. One of the most important things a good manager can do is provide employees with all the information they’ll need to make smart decisions in the company’s best interest. One key piece of info that needs to be communicated simply is, are we achieving our goals? You have to wait for the next quarter for accurate, up-to-date information. In startups, last quarter is already ancient history. Somebody has to compile these reports. If it’s you, it’s time you could be spending working productively and efficiently. If it’s an accountant, it’s expensive and nobody’s going to understand the report! How much did we bring in yesterday? Last week? Last month? What is our revenue goal for next month? Are we achieving our goals? Yes, what I wanted was any entrepreneur’s dream, but I wanted to realize this dream without having to do constantly dig through numbers. Do you share the same dream? Great! Let’s make that dream COME TRUE. 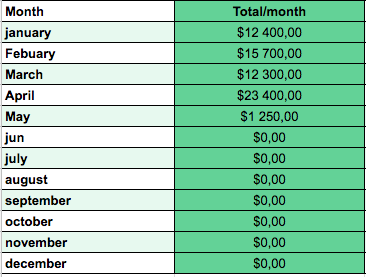 In this sheet, you’ll want to list all of your projected revenue and expenses by month for the calendar year. Eventually, you’ll be able to compare your company’s actual performance to these projections. Test this step. For the test, you can create a new invoice for $0.01 (and then add a credit memo). An important thing to note is that QuickBooks will not add credit memo to the files. This is something you’ll have to do manually for the moment. 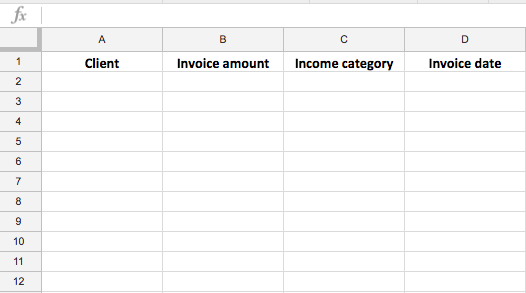 This formula allows you to get the sum of all the invoices that were created in January. 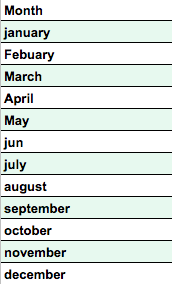 Once done, drag this formula down to fill it for all the other months. This formula will display the projected revenue for the given month. Insert 3 new rows at the very top of the sheet. In A1, we’ll want it to display the current month. You can use the formula: =TEXT(TODAY(),”MMMM”) to display this automatically. Look at that! You now have the ultimate tool to monitor your company’s revenue, and it’s so easy to use! Your employees are going to feel more invested in their projects, and your VCs are going to let you manage your company instead of compiling stupid reports. How great is that?! Mehdi is the founder and CEO of Mazen. In business, time is money and efficiency is everything. This is what inspired him to create a better SEO solution. When he’s not thinking about the future of SEO, you can find Mehdi playing soccer... aggressively! Discover the 10 best hacks for getting SEO traction and results. My goal is to save you time and get amazing results faster than ever.